You may be wondering how to use Twitter for your business to actually see some measurable ROI. Well, Twitter is a great tool for business, but how you use it personally and how you use it for business should differ. Read on for the best ways to drive traffic and business using Twitter. Like profiles for many online sites, think keywords. With just 160 characters, slightly longer than a tweet, your profile should be a place for keywords about your business, not your whole mission statement. What industry are you in? What do you specialize in? Include this information in your short profile to ensure your profile comes up in searches. There’s no need to include hashtags in your profile (though many people do) Twitter will identify the keywords in your profile, hashtag or not. Also important for keyword searches is your Twitter handle. Your handle is simply your username on Twitter. Twitter looks for keywords in usernames as well, so your username has an impact on who finds you or doesn’t. Follow people related to your business for two reasons. Reason number one, people may often click to see who you follow to learn more about you. If you follow a ton of random handles, it may be hard for people to figure out what you’re allow about. So follow a curated list of people related to your business. This curated list is reason number two why people you follow is important. Twitter is great in that easily allows you to share content from others in the form of a retweet. In a business account, you want what you share to be relevant your business So if you’re following the right curated list, you’ll see tweets related to your business and allow for a simple retweet related to your industry, no extra searching required. Separating personal views and business ideas on Twitter can be difficult. Unlike Facebook where you can use your personal profile to manage a professional page, Twitter doesn’t have that option. So be careful what you share. Consider having a personal Twitter and a business Twitter. Keep opinions and thoughts on your personal account and news, links and relevant information on your business account. 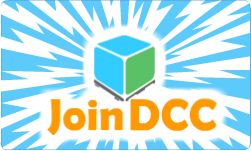 Have a logo? You should! Your logo is a great choice for a Twitter profile photo, this lets people know more about your business and shows you off as a legitimate business. If you don’t have a logo, consider a photo of yourself and share your role with the business in your profile so people can easily connect you and the business when they visit your profile. As for cover photos, use something relevant to your business and make sure it isn’t blurry. Twitter prefers large, high resolution photos for cover photos, so find one that fits and check it before saving. Twitter offers two ways to get analytics. Want to know how tweet is performing? Simply click on the graph icon below it to see impressions and engagement on the tweet. To see how your account is doing over time and learn more about your followers, visit analytics.Twitter.com. 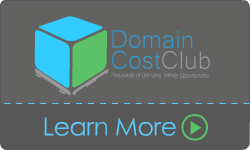 Ready to Explore the World of Affiliate Marketing with Domain Cost Club? Click Below to Learn More!